Thames Infotech Client Reviews, Rating and Analysis Report. I was looking for such a company for long time. Found this amazing site when. I liked their site, so i called them and asked them about my limited budget and needs. Still they were able to meet my needs. They were very responsive during the whole creation process and the final result stunned me. I would highly recommend their services. Thames Infotech did a great job of not only helping me with creating my website, but also gave us insight on what would be the best way to increase sales for our company. They created the website exactly how I imagined it would be. They continue to help even after the website was created, which is a beneficial factor that is necessary for succeeding in any type of online retail. 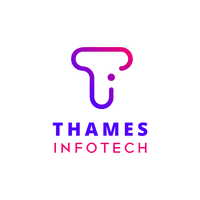 I am glad to have Thames Infotech as our website designer and definitely recommend them to anyone who needs online help. Very Nice Creative Website Design as well as Team Support. They provided us with web development and maintenance we are happy with their work done for us.